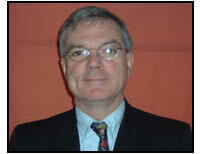 Eamonn M. Quigley, MD, FRCP, FACP, FACG, FRCPI, is a Professor of Medicine and Human Physiology at the National University of Ireland in Cork. He received his medical degree from the National University of Ireland and completed training in internal medicine and gastroenterology at the University of Glasgow; the Mayo Clinic; Hope Hospital, Salford; and the University of Manchester, United Kingdom. Dr. Quigley's academic career began with a faculty appointment in the section of gastroenterology and hepatology at the University of Nebraska Medical Center, Omaha. He was an attending gastroenterologist at the University Hospital, the Veterans Administration Hospital, and Bishop Clarkson Memorial Hospital. After earning academic tenure and serving as chief of gastroenterology and hepatology at the University of Nebraska, he returned to Ireland in 1998. His primary research interests and numerous publications have revolved around gastrointestinal motility, functional gastrointestinal disorders, and gastroesophageal reflux disease. Dr. Quigley served as editor-in-chief of the American Journal of Gastroenterology from 1997 to 2003 and is currently president of the World Organization of Gastroenterology (WGO-OMGE) and president-elect of the American College of Gastroenterology.